I've already told you I'm love fabric. That it's so hard for me to cut into it because I might mess up, wish I'd made something else, or worst yet, the line might be discontinued. To those of you thinking "Wow, Drama Queen." Yes, it's truly that bad. So it shouldn't be too hard to guess what my guilty pleasure is. I love Fabric Shopping. Back in February I mourned the closing of one of my favorite fabric stores near here. It's true. That was of course, until they had their going-out-of-business sale. Can it get any better than that?! Fabric on SALE?! 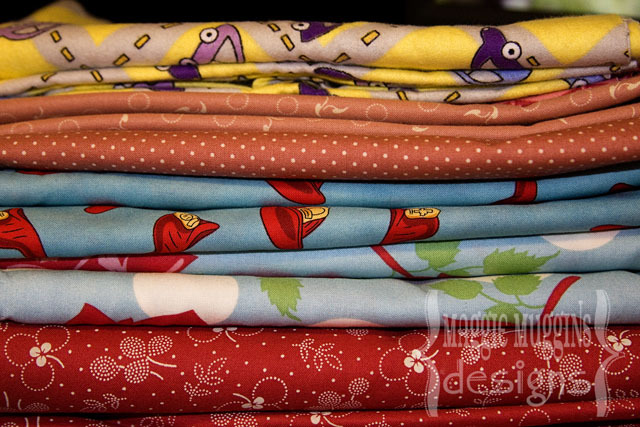 *Sigh* I was so delighted to come home with nearly 15 yard of fabric and 8 patterns. 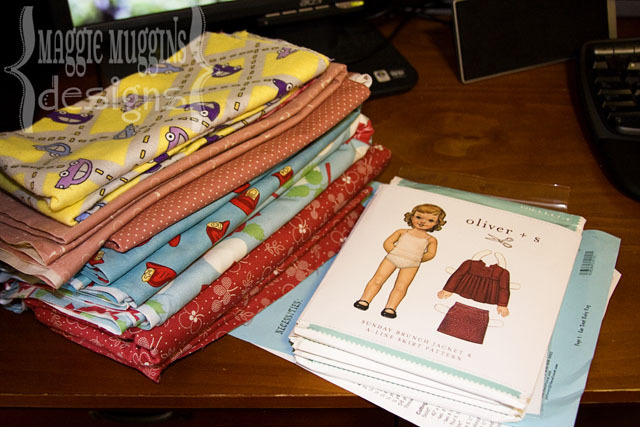 Six of those patterns were Oliver + S. Alone they would have cost me $95 plus taxes. I spent $82.32 and saved $163.80. Seriously, it was awesome! We oohed and aahed over so many bolts of fabric. It was so much fun. But the best part was as I was cutting my fabric and she called me over to see some more fabric we hadn't noticed. Some beautiful silk. I died. We both bought some. Only problem - it's not machine washable so I'm not sure using it for cushions on my couch like I had planned is such a good idea? Oh well, until I decide I don't have to cut into it! 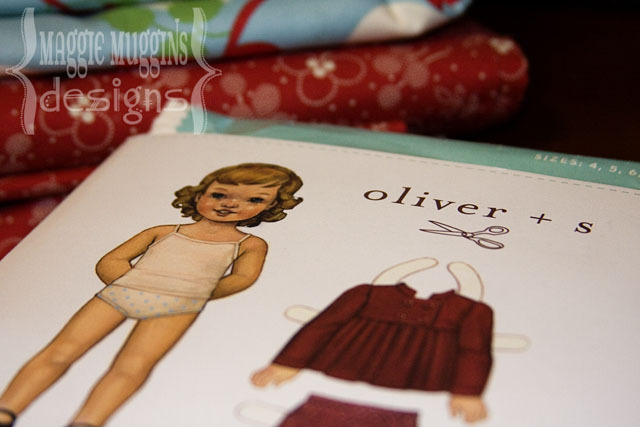 I also LOVE oliver + s they are great patterns.